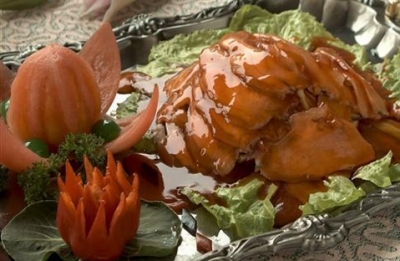 Camel hooves are a special kind of delicacy in the Inner Mongolia autonomous region and just as famous as China's legendary bear paws. 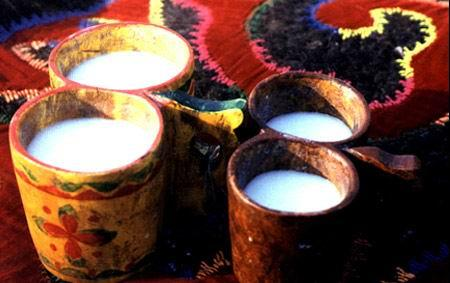 Kumiss is a traditional beverage of herdsmen in the Inner Mongolia region and across Asia, where it is drunk in summer, when the heavy fragrance can permeate the vast prairie. Ghee is essence kind of liquid butter, with important nutrients, and was only used in the past for honored guests or important festivals in the Inner Mongolia region. The The Mongolians' nomadic way of life determined their diet, which traditionally consisted mainly of the meat, milk and other dairy products provided by the livestock. The carp, crucian carp, and white fish in Hulun Lake, Inner Mongolia, are nutritious and rich in protein. For herdsmen, boiled lamb is a plain, traditional meal, one that has endured for a thousand years. Milk tea can alleviate fatigue, stimulate the appetite, help digest, lower blood pressure, and prevent arteriosclerosis.